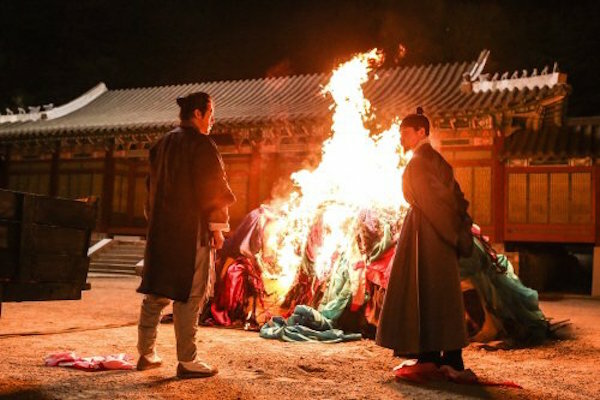 Three years have passed since the death of the king, and with the mourning period now officially over the new monarch (Yoo Yeon-seok (유연석) commissions a special new dragon robe from royal tailor Jo Dol-seok (Han Seok-Kyu (한석규). Having crafted royal attire for 30 years, commoner Dol-seok is on the verge of becoming a nobleman, the reward for a lifetime of service. Yet the abrupt arrival of new and highly sought after tailor Gong-jin (Ko Soo (고수), with his fancy contemporary designs and custom-made fittings, place Dol-seok’s position in jeopardy. 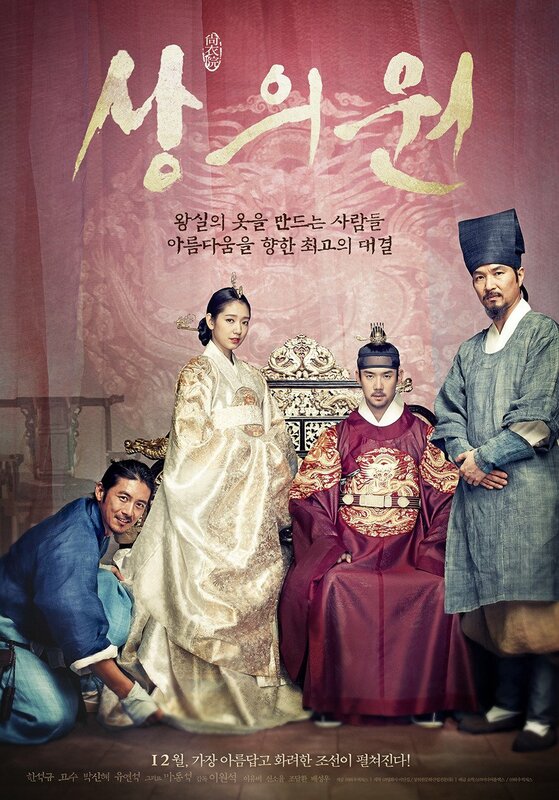 Animosity between the two arises when the queen (Park Shin-hye (박신혜) announces her need for a tailor and Gong-jin is presented with the task, however the young upstarts disregard for the Confucian rules of the time may well spell trouble. The Royal Tailor is a vibrant and unique addition to the Korean period drama canon, one that is consistently visually stimulating and bustling with ideas yet one which is also often directionless. Director Lee Won-seok (이원석) and cinematographer Kim Ji-young deserve praise for crafting such a distinctive and striking film. The beautiful assortments of colour that permeate scenes featuring tailory are truly gorgeous, often combining with a keen sense of symmetry that makes The Royal Tailor a real treat for the eyes. The variation of such impressive colours and designs applied to hanbok also make the drama a fitting tribute to the traditional attire, revering it both as iconic as well as a symbol of cultural elegance. 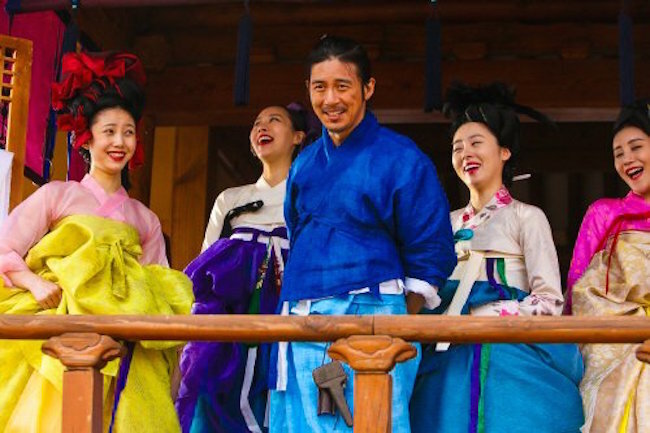 One of the great strengths of The Royal Tailor, and one that makes it so entertaining, is the progressive attitude laced throughout the narrative which is often expressed through hanbok itself. Through the distinctly Korean conflict between traditionalist Dol-seok and the actions of rebellious contemporary Gong-jin, the period tale seeks to poke fun at the Confucian ideals of the era, employing fashion and feminist issues to push the boundaries of oppression. Rather controversially for a film set in such an era, director Lee provocatively conveys that strict adherence to tradition halts development even at the most basic level – a scene in which actor Ma Dong-seok parades like a peacock in his latest hanbok while his sleeves are too long to pour and consume beverages is frankly hilarious – and conveys the playfully nature in which he mocks and scrutinises the rigidity of the time. Director Lee infuses The Royal Tailor with an energetic flamboyance reminiscent of his excellent prior rom-com How To Use Guys With Secret Tips, yet perhaps due to Secret Tips‘ modest returns and/or the conventions of the period film, he appears to lack the confidence to fully commit to his whimsically comedic vision here. Instead he injects his unique flair through a handful of select scenes which are hit-and-miss, as the film flits between typical genre fare and more surrealist postmodern sensibilities, resulting in a film which has something of an identity crisis. This is a quite unfortunate as director Lee is one of the more unique talents to emerge from the industry in recent years, and seeing his aesthetics restrained is a real shame. The drama also suffers in a narrative sense due to the lack of characterisation and the absence of a strong trajectory. The protagonists, and the story, tends to meander and while the situations and debates that arise are entertaining, the film feels directionless and in need of a more defined central plot. As such the actors are under-utilised, particularly Park Shin-hye who suffers the most in this regard as there is little for her to do other than appear sad and pretty. Yet The Royal Tailor ends with a surprisingly potent finale, one which directly challenges the very concept of history and leaves a particularly lasting impression. In forcing audiences to question the very foundations of their national and cultural identity, director Lee makes a bold statement that the past and the truth are not always the same. In the conflict between traditional and progressive, how is history created? The Royal Tailor is a unique and vibrant period drama by director Lee Won-Seok who comedically uses the fashion of the era to mock and push the oppressive boundaries of Confucian norms. While the use of colour is a visual treat and the film is infused with a handful of wonderfully whimsical scenes, The Royal Tailor is often directionless due to issues with the narrative and characterisation. Yet the drama ends on a high note that examines the concept of history and as such The Royal Tailor leaves a lasting impression.